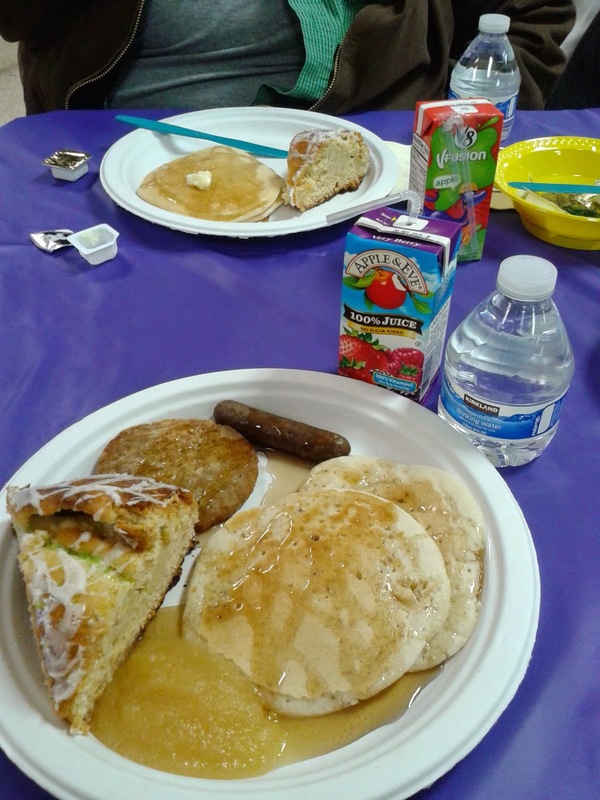 My plate at the Shrove Tuesday Pancake Supper at Episcopal Church of the Ascension -- King cake, veggie and meat sausages, pancakes, applesauce; maple syrup. There were gluten free pancakes and other options, and I had one with my second helping and was impressed. 'Twas much like last year, which was our first, and 'tis a good thing. 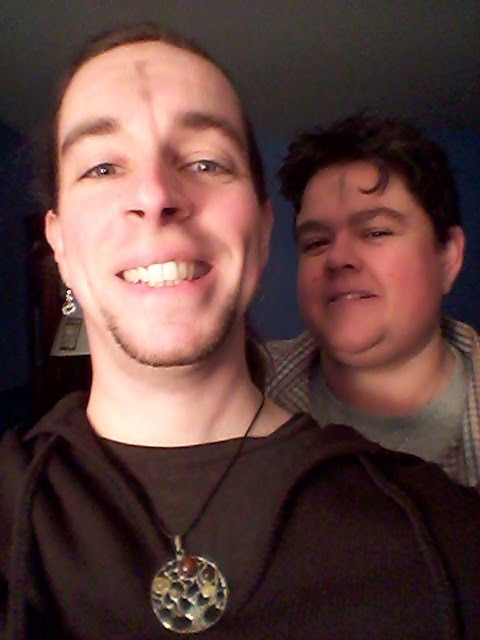 We aren't in their Facebook photo album, but it's a good way to see much of what we did. 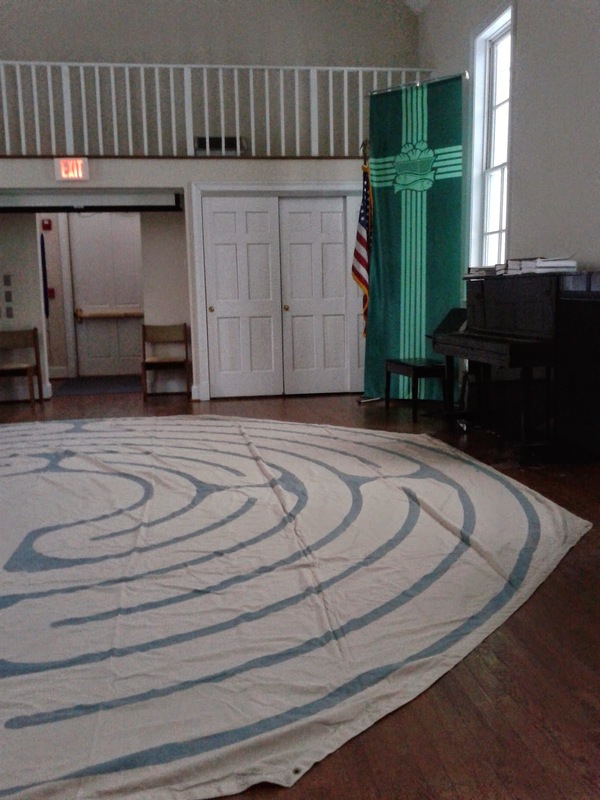 Ascension’s labyrinth was available in the Chapel from 10 to 6 on Ash Wednesday, and we visited in the last hour – and found we had the place to ourselves. But it was all ready for us, complete with signage, labyrinth info, baskets of athletic socks and pretty handkerchiefs, and a New Agey CD in the stereo. The lights were off and we left them so, since we had enough light from the last of the sunset through the hazy clouds, eventually joined by the outdoor lights. A very different experience than our previous, which was the Lenten retreat last March. And we reentered the outside world to find it in the midst of a snow squall (which left less than an inch). Home for dinner and whatnot, then back to Ascension for the 7:30 Holy Eucharist and Imposition of Ashes service (bulletin not on website yet), which was partly bilingual (we have a Spanish-speaking congregation) and had all acapella music (our Director is visiting his next position in another state). There was also a noon service, and Ashes To Go at the nearest MARC station from 4 to 6. Mark Alves is the "Godfather of the ‪#‎ashtag‬". 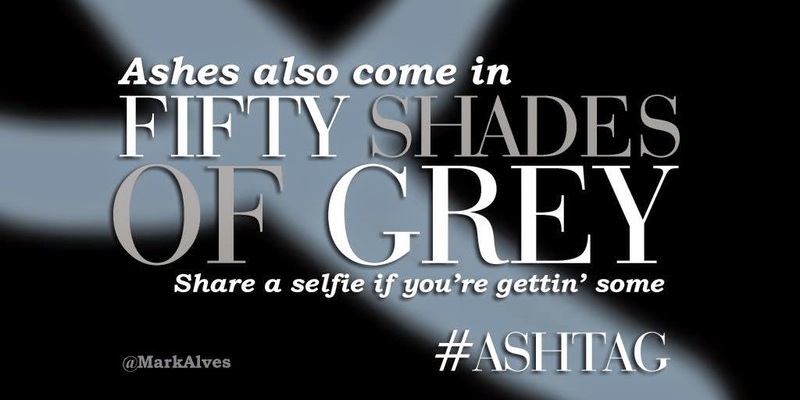 "Submit to a bit of Lenten discipline and let's see if we can repeat the #ashtag again this year." In one pocket: ‘For my sake was the world created’ (Mishnah, Sanhedrin 4:4). In the other pocket: ‘I am dust and ashes’ (Genesis 18:27). At certain times and places, you should pull out the appropriate piece of paper. Youth Sunday at Episcopal Church of the Ascension was canceled / postponed due to the weather, but we did get to observe Girl Scout Cookies Sunday when we went to our local Giant Food (now the same company as Stop & Shop back home); the Scouts were even wearing handmade sandwich boards, awww (maybe their take on Bling Your Booth?). 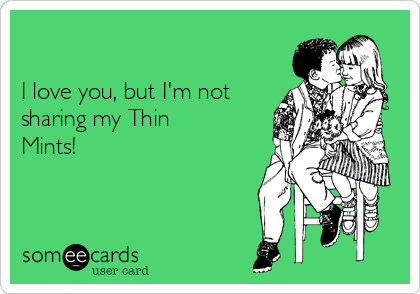 We got Samoas, Tagalongs and Thin Mints -- Julia’s favorites. Still not made from real Girl Scouts, but tasty all the same. And because we did next week’s music, I got to reflect on “Wash me, cleanse me, and I shall be brighter than the snow” in the more figurative light of ‪#‎BOSnow‬ and the more literal of the few inches we received last night, which were atop a few previous ones.